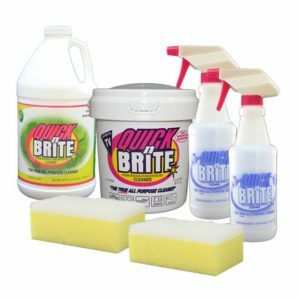 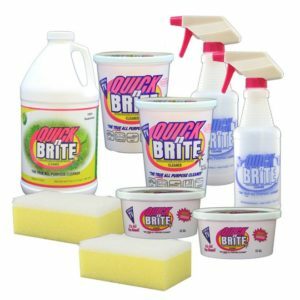 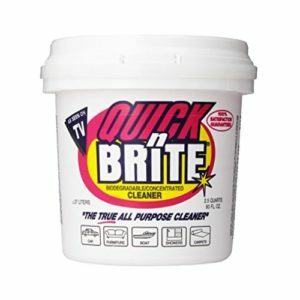 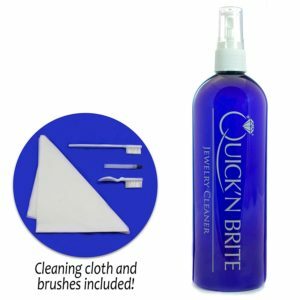 Quick ‘n Brite Fireplace Cleaner works great to remove any unwanted creosote, smoke residue, soot, ash, dust, and carbon deposits off any hard surface like brick, stone, concrete and tile. 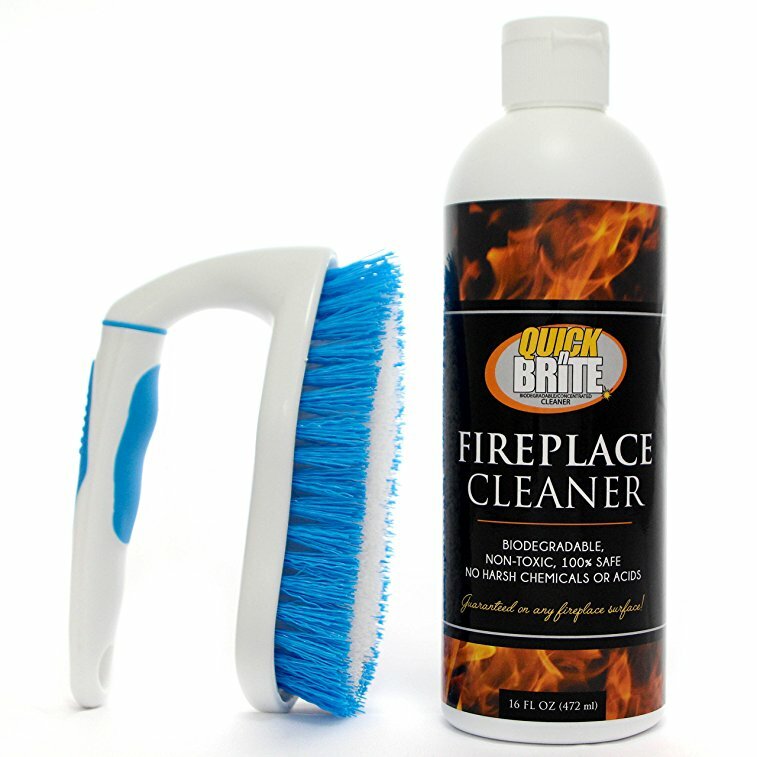 SAFE FOR ALL HARD SURFACES: Our Fireplace Cleaner is safe for all Hard surfaces; including gas stove , fireplace brick , stone, natural stone, tile, wood and ceramic surfaces. 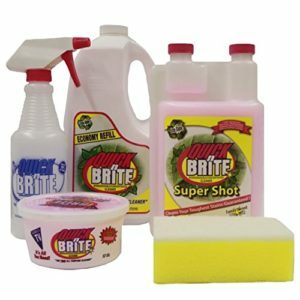 So no more worrying about scratches or other damage. 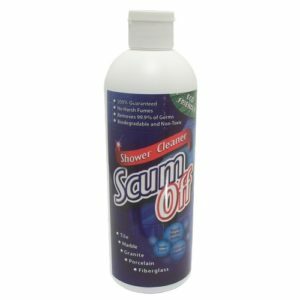 All without having the harsh effects of ammonia or any harsh or harmful fumes or caustic chemicals. 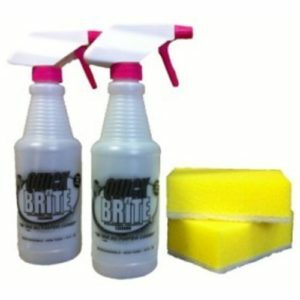 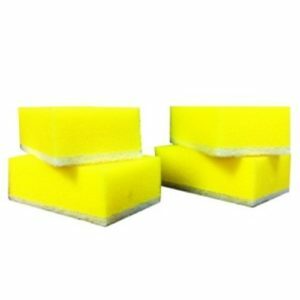 EASY APPLICATION: Lightly wet surface then use a stiff brush to apply cleaner to surface scrubbing thoroughly. 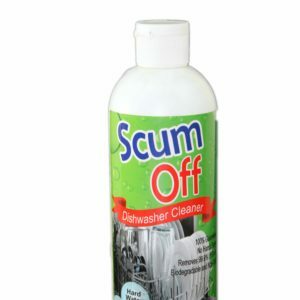 Rinse with a misting of clear water. 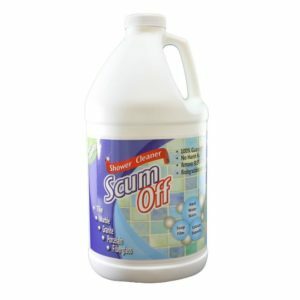 For really bad surfaces let sit 10 minute then scrub again and rinse. 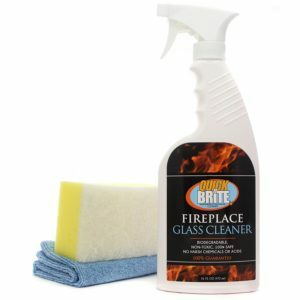 ENVIRONMENTALLY SAFE: Not only does it make your fireplace look amazing, but we only use environmentally friendly, biodegradable, and non-toxic ingredients. Clean your fireplace cleaner that is safe without any harmful effects to you or your family!